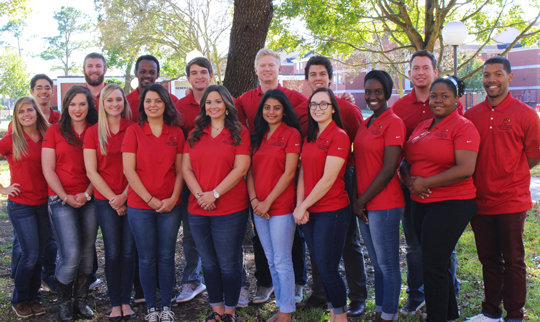 The Engineering Ambassadors Program adds a student component to the College of Engineering recruiting process, employer recruitment, and community activities. Thanks to a generous donation provided by ExxonMobil, Ambassadors are awarded a $750 per year scholarship and a monogrammed polo shirt to be worn when on duty. Ambassadors must dedicate a minimum of 30 hours of service each semester. If you are a current student and would like to become an ambassador, we encourage you to Apply Today!